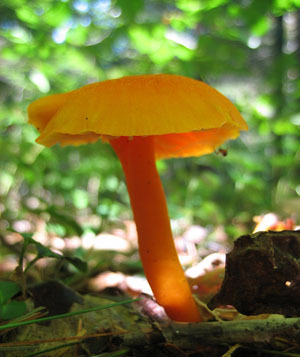 Bright orange-yellow cap with yellow gills and orange-yellow stalk with a white base. Slimy. Cap: 2.5-7 cm (1-2 �") wide. Broadly convex, with incurved margin, becoming flat or sunken in center. Margin lined. First sticky then dry and shiny. Orange to yellow. distant. Broad, thick but gets thinner towards edge. Waxy and yellowish. Stalk: 5-7.5 cm (2-3") long and 0.5-1.5 cm (1/4-5/8") thick. Often compressed, smooth and moist. Yellow to orange with whitish base. Scattered to numerous. On soil and humus in deciduous and mixed woods. 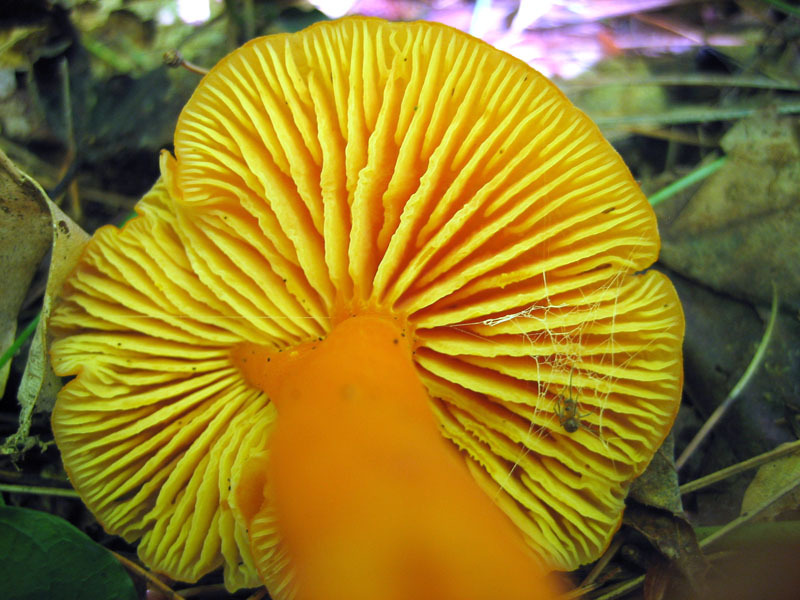 Often in wet, mossy areas. East North America to Michigan, Texas and West Coast. 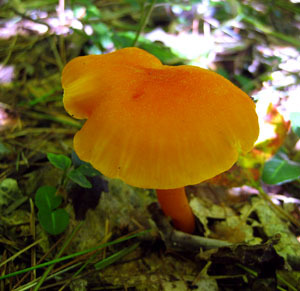 Also known as Hygrophorus flavescens.